I had a very empowering weekend. 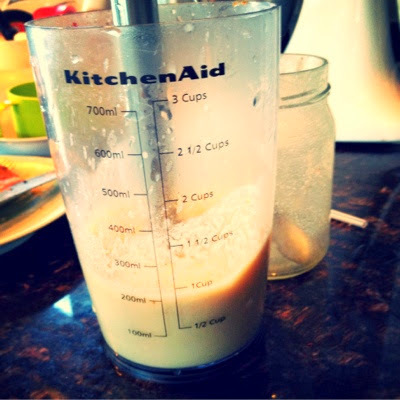 I went to the David Suzuki Ready Summit and a Probiotic workshop. Both these event confirms why I do what I do and that I am not alone. They also encourage me to continue and also connected me to like minded people. Andrea explained probiotics as any good organism that is beneficial to humans, they can be bacteria, mold or yeast. 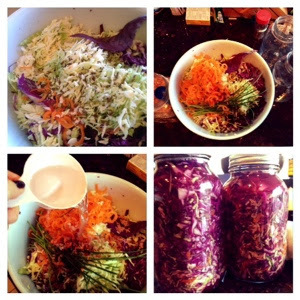 She also talked about how she was able to replace her expensive probiotic supplements with fermented foods rich in probiotics. When I heard that my ears perked up. She pointed out that probiotics found in natural food are more abundant, well balanced, easier to absorb and cost very little comparing to bottled supplements. She also touch upon live enzymes in the fermented foods, ENZYMES? I wonder if that could be like the digestive enzymes I started taking about 1 week ago and have already seen some improvements? She reminded me that drink chlorinated water ( which I do not drink ) mess up the gut flora and with eating meats from animals that were fed antibiotics. I have to admit that I don't always buy organic meats. I get grass fed beef when I can and look for chicken that are antibiotics free. 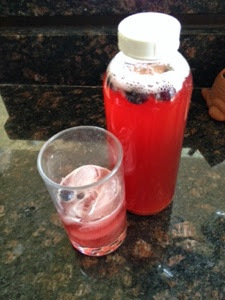 She had samples of her fermented vegetables for us to try and mentioned about kombucha. I left the workshop feeling inspired and with a jar of her Sea ‘Chi in hand. On the way home, I picked up 2 heads of small cabbages, one green and one purple and went home and started shredding. Since my last mini flare up in mid March, I had been really low on energy. I had gotten the bleeding mainly in control but still suffer from bloating, gas, sensitivity to cold and extreme fatigue. I had cut out all gassy vegetables and any sour foods in hope to keep the gassiness down. I was better than in March but somewhat miserable. 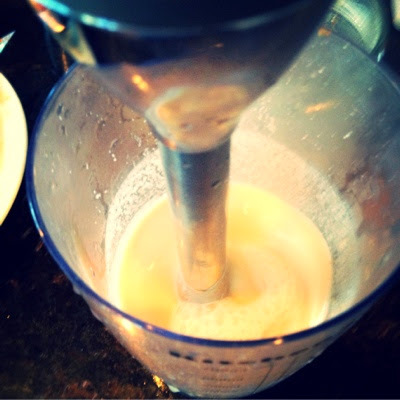 I relied mainly on my Absorb Plus shakes and it's very unpredictable when I will eat real food or not every meal. So that evening, I decided to add a bit of kraut juice back in my diet, just a couple tbsp with my dinner. Dinner went down well, I had steak, jimaca fried and a little bite of coleslaw. I had sips of kombucha after dinner and found my usual after dinner craving gone. I had a bit more energy that evening after dinner probably from the caffeine in the kombucha. I slept fairly well. The next morning, I started my morning with a sip of kombucha instead of my probiotic pill. I notice my energy level had gone from a 2 for the last month and a half to about an 8. A state I had almost forgotten how it felt like. I had a normal lunch with real food along with my probiotic foods and drinks and continues feeling pretty great until about 2pm. By then mild bloating returned and I was cold and tired. I napped a little and took 4 Tissue Salt Ferr Phos to bring the inflammation down. By 4pm I was feeling less bloated, cold and tired. 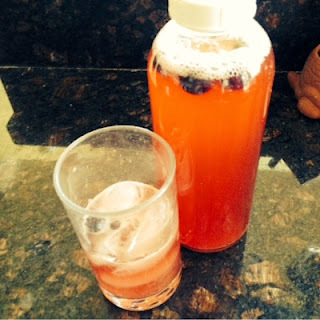 Despite the fact that my energy didn't last all day long, I was still very impressed with how the probiotics in fermented foods made a difference in such a short time. Perhaps I ate a bit too much food for my system to handle even with my gut flora improving. I will continue to take probiotic foods along with the pills and hopefully can build a healthy gut flora again. 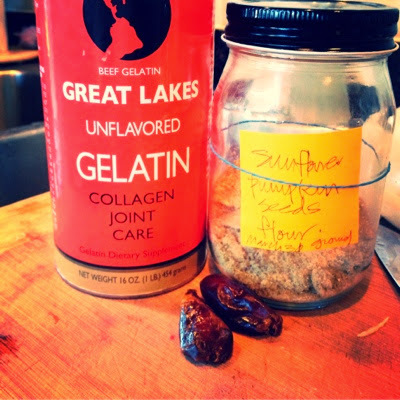 Below are a few products I found to be helpful when making your own sauerkraut at home. I'm looking for a word to describe today. It was emotional, exhausting, comforting, transcending. 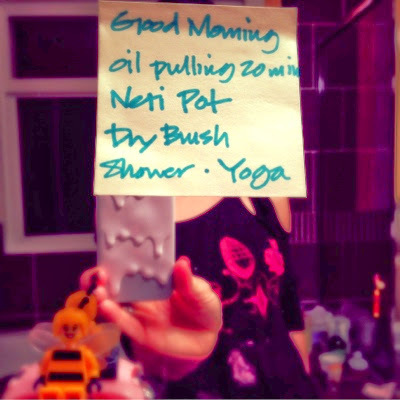 It started with my usual healing routine, oil pulling, net pot and yoga. I worked hard in my yoga practice to be present. I find that with my recent brain fog, it has been really hard to focus. I have become scattered brain again and constantly feel like I have a million little things I need to do. I lack the energy to keep up with all the things I want to accomplish, even with my kanban and lists. The hot shower was very relaxing but perhaps a bit too relax to start my day. I knew taking my senior dog to the vet would be an emotional event as he has had rapid weightloss in the last few weeks. I cried when I got to the room at the vet, even before the vet came in. I hadn't cry like that for a longtime. My denial has slowly transcend into acceptance that his time is really close. The last new pain meds didn't work. It was heartbreaking to see him in so much pain. I didn't the vet would have another option for pain management and expected for her to suggest end of life consideration. but was very compassionate and suggested a new meds which will make him a bit groggy. I went to the drug to fill his presciption and came home with little expectations. My dog has a sensitive stomach and the last meds upset his stomach and cause him to soil inside the house. I am please to report that the meds seem to be working and he is sleepy but a bit more mobile. End of life is a hard decision to make, but I had selfish thoughts of how I will be if I let him go! I had fear that I would go into a full flare. After all the errands, I was relieved to be home. I felt a sense of relief perhaps from my acceptance of what will come. I feel more at peace about the thought of letting him go. After I relaxed, I regained a bit clarify and was even able to complete a few tasks on my to do list. I have to admit that I am completely exhausted by dinner time. I didn't even want to eat. On my health note, I'm started taking an anti-inflammatory supplement that has turmeric and rosemary in it. It seems to be working. I had take when I first started having digestive problems but didn't seem to think it was helping. Perhaps it is working better now because I have done so much work in the past year to support my condition and there is acceptance now for it. I have been dealing with a mild flare for over a month now. My symptoms haven't been bad, but my energy level is low. I have more down days than ups. My weight has been stable but I still have a few more bathroom runs than I would like. I do sometimes crave for sweets and would indulge in dates, larabars, ripe bananas, some homemade baked goods ( rice/coconut/ almond flour sweetened with maple syrup or soaked dates). I don't feel that I am out of control with my sweet cravings, but if I cut down the hidden sugar intake including starchy veggies like yams and sweet potatoes, I wonder if that would help my body battle the bad bacteria and replenish the good ones better. As a result it might get me in a better state with my colitis. My good friend, who introduced me to Whole30 and Paleo mentioned that she is on the 21DSD and have been feeling great. Of course, everyone has specific health challenges, my is the gut. I reviewed the 21 DSD YES/NO foods list and am trying to combine it with the LTYG minimizing gas and bloating healing diet and see if I have something that will work for me. I do not want to loose weight, not even a lb. I feel that I am at the lower end of a healthy weight right now. I want to increase my energy by, not necessarily keeping my blood sugar level even, but by keeping the inflammation down. I sometimes have issues digesting meats and fats. Chicken and Fish are usually ok, but there are days when all I want is yams/ squash and maybe 1/2 avocado, ie. soft foods. I am still not eating much raw veggies other than juicing them. If I do this, I will still have my elemental shake even though it has whey. I can use more of the unsweetened vanilla to cut into the other sweetened flavors, which is what I have doing anyway. The best way to nurse a cold or flu is of course lots of fluids and rest. Sometimes plain water just doesn't cut it. 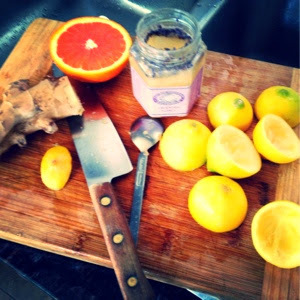 So I made this Ginger Raw Lavendar honey Orange/Lemon aid for my kids when they are under the weather. Add orange and lemon juice, stir well. The little one is sick again, he has a mild temperature, runny nose and a bit of a cough. To hopefully boost my immune system so I don't get a cold/flu triggered flare like in January, I am getting back on my regime. 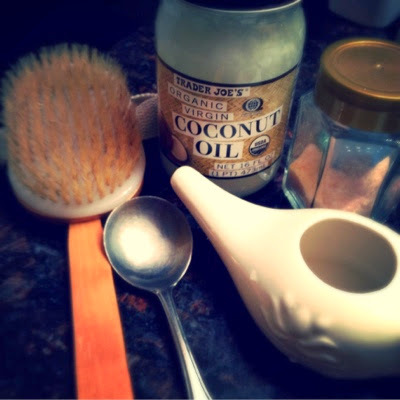 Oil pulling with coconut oil to remove bacteria that maybe incubating in my mouth, Neti pot to flush out bacteria that maybe incubating in my nasal passage, dry brushing twice a day to help my body detox and yoga to keep my body calm and collect. Oil pulling was suggested by my naturopath a couple years ago when I caught hand foot and mouth from the kids. It was so painful and I told myself I never want to feel that way again, so I started oil pulling every day for a good year. When I started getting IBD symptoms, I was overwhelmed with the changes in my body. Everything went out the window and that included oil pulling. I learned about the use of the Neti pot from the history of yoga practice, it was initially to help my allergies, it helped a lot and I stuck with it after learning that it can also get rid of harboring bacteria in the nasal passage. Dry brushing was the newest discovery, I have only been doing it for a few months. This practice is to help drain my lymph nodes, according to my naturopath. At the time when she suggested it, I really didn't think much about getting rid of the little bumps around my arm pits ( lymph nodes ). I was just trying to focus on finding relief from my colitis flare. Later I read that the lymph nodes work harder when the body is fighting something. So if I help them a bit with the detox process, they can work better and make my body healthier.